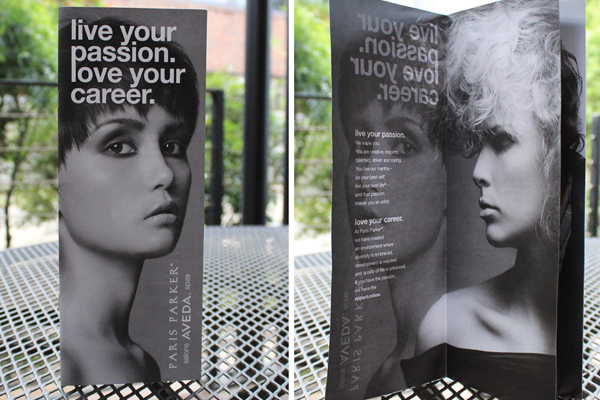 Objective: Attract more new stylists to Paris Parker® Salons & Spas, targeting primarily new cosmo graduates. Challenge: Paris Parker’s artistic team gave regular presentations at local cosmetology schools and they needed a compelling leave-behind that would keep Paris Parker in the forefront of top students’ minds long after the glow of the presentation had faded. Do I fit in with the salon’s culture? How long will it take me to get on the floor? What kind of advanced education is offered? Can I participate in shows or editorial work? What is the reputation of the salon (awards, pr, reviews, etc.)? What is the compensation and benefits package (paid vacation, insurance, etc.)? What career paths are available to me? We also knew that the majority of students in our target were GenYs which meant that they would likely be attracted to visual communication and technology. 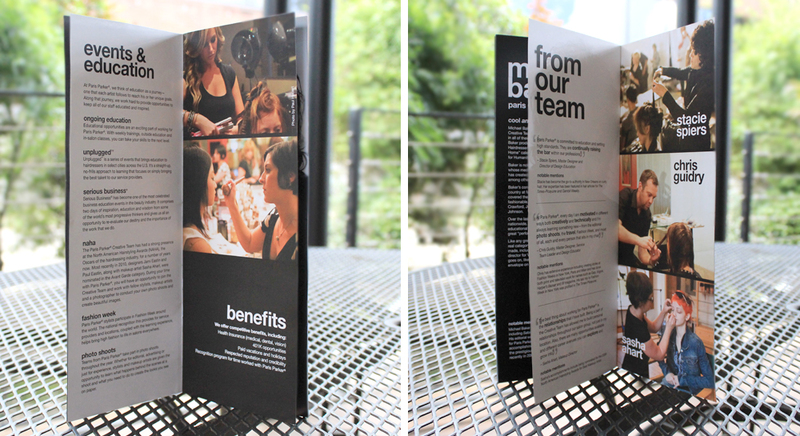 We designed a highly visual brochure that answered those questions through photos and concise “sound bite” copy. 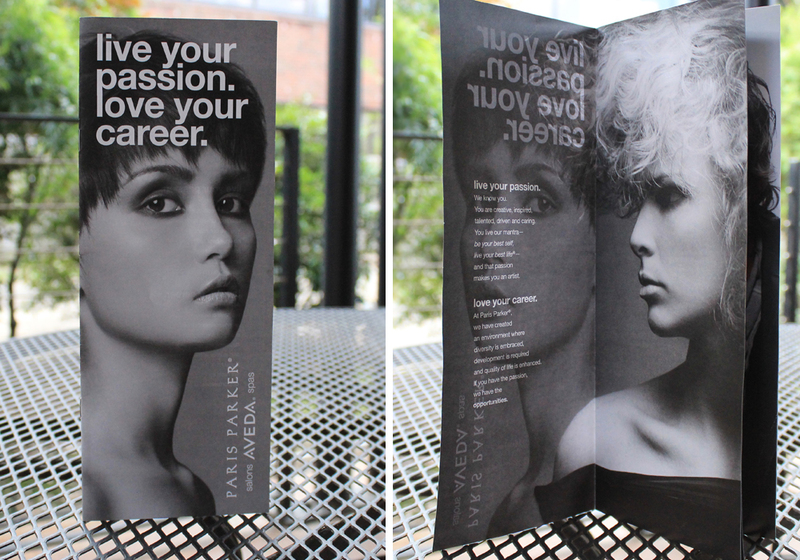 The printed brochures were given out at school presentations and we also included a digital version that could be downloaded on the career page of Paris Parker’s website. Results: Paris Parker hit every hiring goal that year.